"Attention! Attention!" the female voice announced over the plant P.A., audible over the rush of water flooding in from the broken pipe as the two SWAT Kats re-entered the cooling tower. "Radiation levels lowering. Cleanup crew to Sector 6. Initiate emergency decontamination procedures." "Bingo!" said Razor. He consulted the wrist-mounted dosimeter of his radiation suit and was relieved to see that the color was still blue. Just to be safe, though, he also turned and consulted a radiation detector mounted on the wall underneath a sign that read "Safety Is Our #1 Priority!" With a relieved sign, he noted that the radiation levels inside the power plant were indeed returning to normal. On the downside, water rushing in from Megakat Bay via the broken pipe was threatening to flood the entire building. Already, he and T-Bone were ankle-deep in it, and wearing their heavy, lead-lined suits. The alarms continued blaring. Even though the threat of radiation leakage was gone or at least minimized, it seemed flooding was something the Megakat Nuclear Plant's computer system considered an emergency. So did Razor. "I think it's safe to take these things off," Razor said after giving the radiation detector another glance just to be sure. He pulled off his visored hood. "And we better get 'em off quick. This place is filling up with water fast and these suits weigh a ton!" "Fine by me!" agreed T-Bone, pulling his suit's hood off, too, grateful for the comparatively sweet and fresh air of the cooling tower's interior after spending so long in the suit. The downdraft from the Enforcer chopper's rotor blades did wonders to help cool him and Razor down, as well. The downward-rushing gush of air whipping through the interior of the tower felt good against his sweaty fur. He began struggling out of the heavy suit. "As for the water, maybe we oughta fix what we, or rather Lieutenant Feral, broke." So saying, he worked one arm free from the suit and held up his Glovatrix for emphasis. "I figure a few cement slugs'll plug that leak long enough for the repair crews to do a proper fix-up." Razor was getting ready to agree when there was a roar which shook the entire structure. Halfway out of their radiation suits, the SWAT Kats turned. The glistening black form of the mutated Harley Street was visible through the doors leading back into the plant proper, barrelling down the flooded hallway, murder in his glowing compouned eyes. He was far too big for the doorframe, but it didn't matter; he destroyed it and a good portion of the surrounding wall shouldering through. The cooling tower provided him with the headroom he required to rise to his full, monstrous height, arms spread, clawed fingers splayed, ready to slash through his enemies. "SWAT Kats!" he snarled. "You'll die for this!" "I think plugging the leak might have to be someone else's problem!" Razor said. As the duo struggled to finish removing their suits, Street stomped towards them, wading through the water, which was now waist-deep for the two vigilantes, and knee-deep for enormous mutated scarab. Above them, in the Enforcer chopper, while Gray kept the aircraft steady, Felina unfurled the rescue ladder. It dangled down. "SWAT Kats!" she yelled down. However, she couldn't be heard over the combined noise of the roaring Street, the rushing water, and the noise of the whupping helicopter rotors. She yelled up to Gray. "Corporal! Get on the loudspeaker!" "Roger!" Flicking a switching which activated the aircraft's P.A. system, Gray yelled into his helmet mic, "SWAT Kats! Grab the ladder!" At that, the SWAT Kats looked up and saw the ladder. "Rescued by the Enforcers!" grumbled T-Bone. Even so, as he finally kicked free of his suit, he was sloshing through the rising water towards the ladder. "I'm never gonna live this down!" "Beggars can't be choosers!" said Razor, following him, still half in, half out of the suit. "Besides, at least it's Lieutenant Feral and not her grouchy uncle! He'd never let us hear the end of it!" With a growl, the giant Street slashed at him, but even with the leaded suit, Razor was able to dodge, and the scarab's claws did the rest of the work in removing the suit for Razor, slashing it, as well as a goodly portion of his G-suit underneath, to ribbons, exposing the thin SWAT Kat's midriff and leaving deep scratches. "Aaaghhh!" Razor yelled. "Buddy!" T-Bone cried, looking back with one hand on the bottom rung of the ladder. The water continued to rise. The two vigilantes were up to their armpits in it, whilst the black scarab was now waist deep. He was moving sluggishly, as they had when they had their lead-lined suits on, something which didn't escape Razor's attention. Street must weigh a ton in this form, he thought. As Razor staggered towards him, T-Bone grabbed Razor's wrist with his free hand. "Come on!" "I am, I am!" With his free hand, Razor aimed at Street's face and fired mini cement slugs. "Eat cement, bugface!" Splat! "Blaaaghhhhh!" growled Street, staggering back, flailing, swiping at the swiftly-hardening gray glop which covered his face. Getting one arm around Razor and yanking him up so that they were both on the ladder, T-Bone nodded to Felina, who was sticking her head out the open side door. She nodded. Whirling, she yelled up front. "Get us out of here!" Gray pulled up on the control yoke, and the chopper began to rise. At the same time, Felina activated the winch which began reeling the rescue ladder in. But Street wasn't finished. Managing to scrape most of the dried cement off of his face, enough to allow him to see, he noticed the escaping vigilantes and howled with rage. No! He couldn't allow the pitiful Earth pests who'd ruined all his plans and taken his queen from him - twice! - to escape! Sloshing through the water, he reached the slightly inclined wall of the cooling tower and began to climb up it, scuttling madly up after the retreating chopper and his prey. Last edited by Kooshmeister on Sat Mar 16, 2019 8:54 am, edited 2 times in total. Uh oh, Razor took a hit! Hope he'll be okay. The chopper continued rising, winching the ladder in at the same time, as Street crawled up the interior of the tower after them ahead of the rising water, struggling to haul himself up, his weight bearing him down somewhat, taloned hands and feet digging into the cement. With a growl, he swiped at the SWAT Kats' dangling feet, but they jerked them up out of the way in time. He snapped at them with his drooling mandibles. All the while the water continued gushing in behind him, filling the bottom of the tower up. Finally, the chopper flew up out of the top of the tower, pulling the SWAT Kats along with it, just as Street emerged, hauling himself halfway up, reaching for his escaping prey unsuccessfully. Even as the ladder continued winching the vigilantes in, Felina, realizing something needed to be done about the monster, jumped into the seat beside Gray Taylor. She flipped her helmet's visor down, grabbing hold of the yoke for the aircraft's firing controls. She took aim, but not at Street himself, realizing that he'd shrug off whatever she fired at him. Instead, she aimed for the rim of the cooling tower on which he was unsteadily perched. Having observing the difficulty with which he crawled up after them, and the unsteady movements he now displayed while attempting to haul himself up completely out of the tower, Felina guessed correctly that the Ci-Kat-A king was extraordinarily heavy. She gritted her teeth, pulling the trigger. Two missiles shot out. From their position being winched up on the ladder, the SWAT Kats watched as the missiles flew forward and struck the top of the structure. There was a fiery explosion as the topmost portion of the cooling tower exploded in a rain of concrete debris. With a startled bellow, the giant scarab pitched backward, arms flailing. He attempted to spread his wings and fly, but his momentum prevented him. Besides, he was falling backwards, and even though his wings unfurled, they simply flew up and around his plummeting body as it tumbled down the center of the cooling tower's interior. The black horror fell and fell, until at last he splashed into the churning, foaming seawater filling up the bottom of the shaft, and his great weight ensured he sank like a stone. He flailed uselessly, struggling to reach the surface, only for the chunks of concrete which had followed him down to strike the surface and slam into him, bearing him down to the floor several feet below. This was it, Street realized. He was drowning. Something like peace came over his mind. The SWAT Kats watched from above as bubbles rose to the surface, and then gradually stopped. Dr. Harley Street was gone. Later, Felina's chopper set the duo down on the ground in the power plant parking lot, then Gray flew around and landed nearby. As the rotor blades whipped the air up around them, T-Bone immediately bent to examine Razor's body through the slashed G-suit where the scarab had scratched him. The wounds weren't that serious. Smacking his friend's probing fingers away, Razor said, "Easy, buddy, I'll be okay. Street didn't get me too bad. Just a flesh wound." He sighed, rubbing his head. "Lucky the Ci-Kat-A only convert people with their bite, not scratches!" Nodding, T-Bone said, "I kinda feel bad for poor Dr. Street..." He turned and looked at the smouldering cooling tower. "Yeah," agreed Razor, "it wasn't his fault. But at least it's over now." As the Enforcer chopper's rotor blades died down, Felina got out and walked over. "A shame about Street," she said with a heavy sigh, "but I'm glad you two are all right." She smiled and clapped Razor on the shoulder. Approaching sirens made them turn. Enforcer cruisers and plant security Jeeps were rushing up. "Looks like it's time for us to split," observed T-Bone. "We gotta head back to Skycor Towers. We kinda left our ride there." Felina chuckled. "I can give you guys a lift," she offered. "Nah, we can manage," said T-Bone, and, waving, he and Razor headed off, as Felina went to meet her uncle. Dr. Viper sat as well as his bulky tail would allow on the cot in his cell in the holding area of Enforcer Headquarters, rubbing his thin wrists where the handcuffs had been. His forked tongue darted in and out of his mouth. He thought about the unprecedented step he'd taken in alerting his enemies to the actions of his former partner, Dr. Street. As much as he hated having to cooperate with that fool Feral, he was pragmatic enough to realize that Street's plan would mean not just the death of millions in Megakat City, but the death of his own plans to turn it into a beautiful swamp city. Ignoring the single nervous Enforcer commando stationed outside his cell, he slid off the cot and stood, idly twiddling his thumbs. Being locked up was a minor setback, and he had plans that were already in motion to ensure his freedom, so his current predicament was of no particular concern to him. He was darkly amused to note that his captors seemed more concerned by his calmness and confidence than they might be if he were ranting and raving angrily. An angry enemy was a beaten enemy. A calm enemy was one who had a few cards in his hand left to play. Of course, his freedom, and, indeed, his survival, depended on the authorities succeeding at the Megakat Nuclear Plant. if they failed, Megakat City was doomed and so was he. In fact, at least part of his plan involved deliberately putting himself precisely where he was, so he'd be instantly killed along with everyone else if the Enforcers - and those bothersome SWAT Kats - failed. Oh, he didn't want to die, but he preferred a quick death by instant obliteration to the slower pain of radiation poisoning or nuclear winter. And so, as he waited for either deliverance or death, to pass the time he mused on what he'd call his swamp city if and when he eventually succeeded. He could never quite make up his mind what to call it. Once, he'd been enamored with "Megaswamp City." But after that failed, he'd considered the name jinxed. Later, he toyed with "Mutation City," and had come close to realizing that goal, even transforming himself into a building-sized monstrosity of great power and, as far as he was concerned, handsomeness. That too, had failed, and the anti-mutagens he'd been doused with had robbed him of the size and strength bestowed upon him by Katalyst X-63, reverting him to what he considered normalcy. Now, as he waited in his cell, for either the end or for rescue, he noted that "Mutation City" was also jinxed as a name, and turned his mind to a new name. He was just starting to think that "Viper City" had a certain ring to it when he heard the door of the detention area open, and the sound of footsteps. Determined to appear as aloof as possible, he didn't turn to see who had come in, merely listening. He recognized the voice of the other commando who sometimes stood guard outside his cell. "Good news!" he said. "That mutated freakshow Street got stopped cold!" "By us or by the SWAT Kats?" asked the other commando, sounding a little tired. The commando who'd brought tidings grumbled and scuffed irritably at the floor with his boot. "The SWAT Kats," he admitted. Viper smirked and finally deigned to look over his shoulder at the two. So, it was rescue, then, he realized. Street had been stopped, and Megakat City was safe from nuclear annihilation, ready for the greatest and most twisted scientific genius in the hemisphere to once again take steps to mold it in his image. His tongue flicked out pleasurably. "Let's go celebrate and get something to drink!" said the commando who'd just come in. The commando who'd been guarding Viper glowered, turning to look at the prisoner through the bars. Viper was indifferent to whether the two left. If they did leave, however, they'd survive his escape. Remaining, he knew, drastically lessened their chances of living to see the next day. "What about him?" the first commando said, gesturing at Viper in the cell. "Eh, he's not goin' anywhere," said his friend. The other commando hesitated, but then nodded, and the two left. The door shut with a bang, and Dr. Viper was left entirely alone. There were no other prisoners in the adjoining cells. The Enforcers' lieutenant commander, in a rare display of intelligence, Viper surmised from his reputation, had insisted this particular section be dedicated exclusively to Dr. Viper, and the captured criminals who'd been there when an eerily cooperative Viper had been brought in. Now all the evil biochemist had to do was wait. He didn't wait long. Crack! Rumble! The floor buckled and then bulged up, splintering, and then a thick mantle of green slime oozed up into view. Dr. Viper stood back and watched with something akin to paternal pride as the puddle reared up into a hood of horror and then the churning column formed itself into the shape of his creation and trusted assistant, the half-kat, half-fungus mushroom monster. It growled irritably, disliking being inside of Enforcer Headquarters like this. Viper gave it a reassuring pat on what passed for its shoulder. "There, there," he said, "let's not dawdle. I can tell you're impatient to leave, and so am I, now." Meanwhile, T-Bone and Razor, unaware that Viper was at that very moment making good his escape from Enforcer Headquarters, returned to Skycor Towers. On the roof, they found the Turbokat where they'd left it, and after using a first-aid kit to treat Razor's scratches, they set about cleaning the intakes from the thick sludge vomited up by the Ci-Kat-A. While they were thus engaged, the door permitting access to the roof area opened and none other than Ann Gora emerged. She waved and walked over. "I wanted to thank you," she said. "Eh, it's no big deal," said Razor modestly. "No big deal?" growled T-Bone, trying, without much success, to fling sticky rivulets of Ci-Kat-A slime from his fingers. "We had to fight a giant beetle and stop a nuclear meltdown and now we're in up to our elbows in sticky crud!" Razor shot him a look. He smirked. "All in a day's work for a SWAT Kat," he said, elbowing his partner. "I can't help but feel bad for poor Dr. Street," Ann admitted, turning and looking over the rooftops at the cooling towers of the nuclear power plant miles away in the distance. "You and everybody else," said Razor. "Poor guy just wasn't himself. But I guess, at the end of the day, it was him or Megakat City." He hopped down from atop the jet and walked over. He went to put his hand comfortingly on Ann's shoulder but paused, realizing it was covered in the sticky glop, and thought better of it. "Besides," he continued, lowering his arm discretely, "it wasn't like we didn't give him a chance... you most of all." Ann nodded, a little misty-eyed. "I understand. But I still feel miserable about what happened to him. And not just the fact he died... what those alien bugs did to him. He was one of the most brilliant minds in Megakat City, and they took it away from him when they bit him." She looked at the ground. "But at least it's over..." She trailed off, then, frowning, raised her head and turned to look at Razor. "It is over, isn't it?" Razor frowned. From atop the jet nearby, T-Bone said, "Sure it is! Street's dead and we turned everyone else back to normal. And all the original Ci-Kat-A are gone, too, including the queen! You don't gotta worry about a thing, Ann. Megakat City's bug problem is solved once and for all." Razor's frown deepened. He still felt the same nagging feeling from earlier, but drove those thoughts from his mind. Whether they'd forgotten a Ci-Kat-A, now or from back then, he realized poor Ann Gora was not in any condition to be worried further. What she needed now was reassurance that the alien threat was over, and it was reassurance that Razor was happy to give her. Nodding, he said, "T-Bone's right. We're pretty sure we got 'em all. Just go get some rest for now, okay?" Ann brightened a little. "Rest? Not on your life! I've got to start on my notes! This is gonna be a great story!" She thanked the two again and left. When she was gone, Razor went back to helping T-Bone clean the Turbokat, with a little less enthusiasm than before. The prospect of a forgotten Ci-Kat-A having returned to his mind now that the immediate threat was over was beginning to weigh on him a little. He glumly scrubbed at the intakes. His mood didn't go unnoticed by his friend. "You okay, buddy?" asked T-Bone. "Look, I'm tellin' ya, we got 'em all!" T-Bone assured him with a grin. "Relax, and scrub harder! This crud doesn't come off easy!" Razor nodded and put his back into it. Soon, the intakes were clean enough to allow the SWAT Kats to take off, and they flew back to the salvage yard. * I like that you had the heroes express compassion towards Dr. Street. As you noted, once Street was possessed his actions weren't really his fault. * I think the epilogue could be a little more subtle about the sequel hook angle. It practically announces the surviving drone's presence before we actually see it. * On a related note: What would the sequel be like? What can be done with the Ci-Kat-A that didn't already happen in the first two stories? * The Enforcers know how dangerous Viper is, but they give him only one guard? And they don't take any precautions to stop his plant monsters? * Typo alert! "Discretely" should be spelled "discreetly" in this context. P.S. I'm sorry, but I have to do this. So it's one of those fanfics. 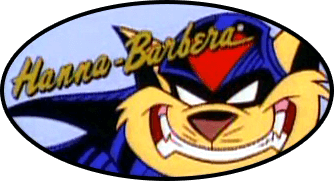 SWAT Kats isn't generally known for its subtlety. Offhand, I'm not entirely sure. We'll see. I may set it up in space. Plot-induced stupidity for the sake of the story. Nooooooooo...! I don't post those here! True. However, we can emulate the show's strengths while improving on its flaws. I have an idea. I'll PM you. Again, this is an area where we can do better than the series. But anyone who wants to read them can find them easily enough. Well, I confess I was in sort of a rush to finish it, and I just wanted to get the ending done. True, but I really couldn't think of how else to do it. Besides, they figure Viper's already put in the cell so he isn't going anywhere, they don't need that many guys to guard him.